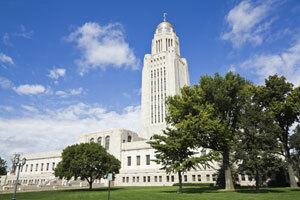 Lincoln is the capital of Nebraska, is home to over 250,000 residents, and is known as the “Star City”. There are numerous effective advertising opportunities throughout the city including in the many neighborhoods that make up Lincoln. Neighborhoods like Arnold Heights, Belmont, and Capitol Beach allow you to specifically determine your desired market and advertise towards those customers for cheaper billboard prices. Target your audience with out-of-home advertisements near cultural attractions like the American Historical Society of Germans from Russia Museum or the Lincoln Children’s Museum. Billboards on the major highways and roadways running through the city also generate high traffic exposure of your business.